At the workplace, it refers to employees being absent from the office. If this becomes a frequent practice it affects individual performance and it can signal lack of employee engagement. A situation caused by the asymmetry of information. It takes place before the transaction between two business partners, favoring the one who has more access to information. A technique used to discover meaningful patterns in data. It enhances data analysis and supports better decision making. An independent examination of data, in order to form a responsible opinion about the efficiency and effectiveness of the company’s activities or processes. It offers recommendations for correcting existing errors and improving current systems, processes or procedures. Suitability for automated data gathering, by importing data in a reporting tool. A performance management system that provides wider visibility than traditional models, as it not focused only around financial performance indicators, but also around other important elements for the organization’s growth. A Balanced Scorecard is based on four perspectives – Financial, Customer, Internal Processes, and Learning and Growth. It supports the alignment of business activities to the vision and strategy of the organization, it improves internal and external communications and it monitors organizational performance. A technique that involves pairing a metric or KPI with a second one that complements it. Balancing can be done across multiple dimensions—quality with quantity, effectiveness and efficiency, subjectivity with objectivity. This can protect against negative behavior, such as gaming, tunnel behavior or sandbagging. The comparison of one organization’s practices, processes and performance with the ones of similar organizations across the industry, in order to identify standards, set targets and measure progress. A method that proved to achieve superior results than the ones obtained with other means. Being that effective, it is generally used as a benchmark. A technique used to stimulate ideas in a group. It can be done to identify possible causes of problems or solutions, potential decisions or projects, improvement ideas. For example, it can also be used to determine stakeholders needs or a list of possible KPIs to monitor. A type of the bar graph used to compare actual values with targets and previous results. Bullet graphs are able to display large amounts of information by maximizing space usage. The tools, techniques and processes needed to manage a business in order to achieve clarity on the strategic direction, alignment of resources and increased discipline in daily operations. It is a systematic approach to understand, improve and manage the business. It contains four basic steps: modeling, analysis, design and management. The process of developing aligned scorecards throughout the organization. Each level (strategic, departmental, individual) will develop scorecards based on the objectives and indicators they can influence from the Scorecard of the group to whom they report. A technique used to identify the cause and effect correlations between metrics, and eventually address the cause of underperformance without altering the balance between interlinked KPIs. . The process of continually renewing an organization’s direction, structure and capabilities, to serve the ever-changing needs of external and internal customers. It ensures that standard methods and procedures are used, such that change can be dealt with quickly, with the lowest possible impact on service quality. Refers to grouping elements based common features they share. Clustering ensures better understanding and visualization of data. For example, KPIs can be based on similar characteristics or objectives. A group of people that share a common interest in a certain topic, and that convenes in order to accomplish both personal and common goals. Members of the community share valuable knowledge and experience with each other. These KPIs take the situation as it is and measure it against a relevant and anticipated state. A composite indicator is formed when individual indicators are compiled into a single index, on the basis of an underlying model of multi-dimensional concept that is being measured. Involves adding up the benefits of a course of action, and then comparing these benefits with the costs associated with it. Refers to balancing costs with results. In documenting KPIs, this refers to comparing the costs of collecting information with its usefulness. An element that is considered to be vital for the success of the strategy, business or project, in general. It is a key underpinning or enabler for the intended strategy to succeed. One of the four perspectives used with the Balanced Scorecard that should bring visibility into who are the target customers and what is the value proposition in serving them. A tool use to keep track of their work activities on a daily basis. It can be used both in personal and professional context. It can help at improving time management and productivity. Common sections of a daily log are: Activity, Date and Comments. In performance management, a dashboard is used for monitoring data on a daily basis. It is characterized by visual representations of data that enable fast and easy understanding of the performance status. Period for which the results of the performance indicator have been measured. The person responsible for providing data in regards to measuring and monitoring KPIs. Is the process by which companies govern appropriate access to their critical data, by measuring and mitigating operational and security risks associated with access to data. Evaluation of the reliability and accuracy of data. The process of analyzing data from different perspectives and summarizing it into useful information, often to discover patterns and /or systematic relationships among variables. The amount of confidence that the recorded performance of a particular KPI is based on accurate and auditable collation, calculation and reporting processes. The process of listing key information related to an organization’s performance, in order to identify the status of the monitored performance indicators. Refers to the visual representation of data, in order to better understand information and present it in a clear and effective manner. A central repository for all data collected from a wide range of sources within the organization and used to guide management decisions. A technique that involves an in-depth analysis on a certain topic or problem to find solutions. A technique used for employee performance evaluations that implies the systematic collection of surveyed opinions regarding an individual’s performance from the worker, his / her peers, subordinates, superiors and clients. A performance management tool used to integrate all strategic statements of an organization. Having the structure of a pyramid, the Desired State of Evolution closes the gap between mission and vision, by integrating in the middle of the pyramid the progress at which the company aims, the “destination statement”. The process of structuring the most relevant information regarding a KPI, to ensure a standardized approach in working with KPIs and facilitating their measurement and analysis of results. Technique for target setting, implying a top-down approach that starts from the organizational level and then breaks down the targets on departmental levels. The extent to which objectives are achieved and targeted problems solved, without taking into consideration the costs inquired. 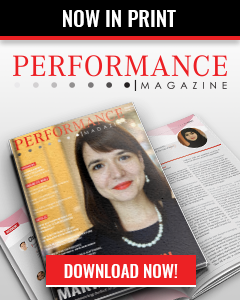 A technique that allows employees to make an evaluation of their professional performance based on the performance criteria established in their individual performance plans. An integrated system used to manage internal and external resources. It includes tangible assets, financial resources, human resources, and materials. A cross-functional enterprise system driven by an integrated suite of software modules that supports the basic internal business processes of a company. Refers to using the three dimensions of economy, efficiency and effectiveness in business management. Includes the information that can be gathered from sources outside the organizational space, such as: books, articles, printed / online catalogues, expert advice and questions in discussions forums. A graphical technique that systematically maps all viable events that can lead to an undesirable outcome. By using this method, a company can take into account both human and mechanical failures that may affect the end result. One of the four perspectives used by the Balanced Scorecard, that informs an organization whether strategy implementation is leading to improved bottom line results (financial KPIs). The basic structure of something; a set of ideas or facts that provide support for something. A KPI that is relevant for an organizational main capability and is valid across multiple organization types and industries. Functional areas are often identified in practice with organizational departments / divisions. A technique that involves the application of gaming-like elements into non-gaming situations in order to stimulate motivation or to influence behavior. Influencing or adjusting results through unapproved means to ensure target achievement. An overarching statement of attainment / achievement that is proposed to be accomplished with an implication of sustained effort and energy. Typically they are more generic and integrative of objectives. A practical technique used for making a decision that implies weighting considered alternatives based on different factors, in order to arrive at an overall score for each alternative. This provides a structured way of viewing alternatives according to their respective achieved results. A tool designed to measure the “health” of each entity at organizational level. It can be employed in revealing the root causes of under-performance, being able to track important aspects related to an organizational entity’s capabilities that are often excluded from scorecards and dashboards as they do not reflect the organizational strategy. Refers to employees capabilities: knowledge, skills and relationships. Recent estimates suggest that as much as 75% of an organization’s value is attributable to human capital. Communication between people at the same level of the hierarchy in an organization. It compiles the mission and corporate values of the organization, in order to communicate its business philosophy. A number computed from a specific formula or calculation methodology, used to characterize a complex set of data. The process of assessing employee’s competencies, behaviors, their efficiency in fulfilling tasks and the achievement of their professional objectives. Refers to an integrated and planned system for continuously measuring, assessing and improving the performance of each employees. An instrument used to establish performance expectations and to support the performance evaluation of each employee. It helps at having a systematic approach to the professional development of employees. A technique used by companies to assess the current business environment of a particular industry. The analysis implies studying market trends, political and economic factors that influence the development of the given industry. A KPI that is specific for a particular line of operations or industry. Takes place when parties on the opposite side of a transaction have different levels of information. A corrective action / activity / project / program initiated to support the organization’s strategy and to contribute to the achievement of its objectives. Initiatives vary in complexity and size, ranging from small scale, short term changes, to projects implemented with strict governance and to large scale transformational / change programs. An instrument used to provide detailed information about an initiative. The most common fields are the Initiative’s name, Description, Related objective, Priority, Status, Budget, Activities and Initiative coordinator. Measures the quantity and sometimes the quality of the resources provided for project / organization activities. A technique that is based on studying the relations and dependencies between variables. In the context of performance management it examines the interconnections between objectives, key performance indicators and initiatives. One of the four perspectives used with the Balanced Scorecard that focusses on the key processes the organization must excel at, in order to provide added value for customers, and ultimately, shareholders. A techniques that seeks to understand the possible causes. Causes are grouped into major categories for a manufacturing industry: Manufacturing, Methods, Man Power, Materials, Measurements and Mother Nature (Environment). In the case of marketing, the categories are: Product/ Service, Price Promotion, People, Processes, Physical Evidence and Productivity. The discipline that identifies, creates, distributes and enables insights, experiences and know-how within the organization. A collection of all the tools used for managing the organization’s performance management system. It provides the instruments needed to put in place and coordinate a sound and comprehensive performance management and measurement system. It can include: Performance Management System Architecture, Desired State of Evolution, Strategy Map, Scorecard, Dashboard, Portfolio of Initiatives, Performance Management Process, KPIs for Dashboard and Scorecard Reports. A measurable expression for the achievement of a desired level of results in and area relevant to the evaluated entity’s activity. A template that structures relevant information regarding a KPI. The most important fields of a documentation form are the KPI name, Definition, Calculation formula and Target. Is a techniques that can be used during the KPI selection workshop to provide participants with an idea of how KPIs look like by presenting several examples of performance indicators. 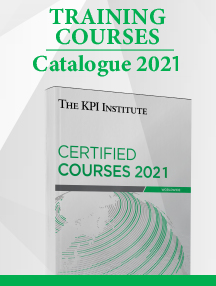 Refers to understanding the actual results of a KPI in the business context that generated the results, compare them with targets and identify possible causes the current performance level. Reflects the three stages in KPIs’ implementation process: establishment, use and evolution. Refers to how significant the KPI is for the objective set and how valuable is the information it provides for the organization. Metric used by organizations to provide an early signal of increasing risk exposures in various areas of the enterprise. Type of performance indicator that reflects the failure or success after an event has been consumed. Type of performance indicator that influences the outcome KPIs, being predictors of failure or success. The process of social influence, which maximizes efforts, towards the achievement of a goal. It refers to the ability and responsibility of leading a group of people. One of the four perspectives used by the Balanced Scorecard that monitors human capital, information capital and the organizational climate. Refers to aligning goals and subordinate objectives throughout the organization, including ongoing tracking and feedback in process to reach objectives. MBO’s are often perceived as a form of planning. A number or a quantity that records a directly observable value or performance. All measures are composed of a number and a unit of measures. The number provides magnitude (how much) for the measure, while the unit gives the number a meaning (what). An established, habitual, logical, or prescribed practice or systematic process of achieving certain ends with accuracy and efficiency, usually in an ordered sequence of fixed steps. A generic term referring to everything that can be measured around us, such as: # Air temperature, # River depth or # Employee’s average height. When metrics reflect the achievement of a desired state they become KPIs. Key events or deliverables that must be achieved at a specific date from the project’s lifecycle. They are set to help project planning and ensure project validation. Defines the essence of a company: why it exists, what it does, what it stands for, what products or services offers to customers. An effective mission statement should be concise, inspiring, easily understood and communicated and long-term oriented. A phenomenon that happens when the two parties of a transaction have incentives that are not aligned, and when one party will take a risk knowing that the other party will incur the cost. For example, if you don’t have a fire insurance for your house, you are likely to be particularly careful with preventing such an event from happening. If you have a fire insurance and the event takes place, you lose nothing, so you have less incentive to protect your house against fires. Consists of KPIs, each of them regarded as a collection of calculations that are associated with a measure group in a cube, used to evaluate business success. The process of understanding what issues must be addressed to properly satisfy stakeholders’ expectations. The component of an organizational reward system that includes everything in a working environment that enhances an employee’s sense of self-respect and esteem by others, such as training opportunities, thank you notes, merits recognition. A precise statement of what an organization wants to achieve. It is a component of the strategic intent, describing at a high level the company’s priorities and outcomes that will lead to an improved performance. Is an instrument that connects each initiative with at least one objective. It can be used to ensure that all initiatives proposed will impact the strategic objectives established. It also provides a clear image of the interactions between the projects and how the implementation of several initiatives will lead to the achievement of a certain objective. 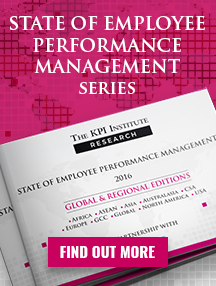 It focuses on performance measurement and management at departmental levels. It ensures all business units, departments or divisions are aligned to the organizational strategy. A collection of Documentation Forms for all the KPIs monitored by the company, whether they are active or inactive. Measure the quantity and quality of the results achieved through the provision of goods and services. Measures the quantity and sometimes the quality of the goods or services created or provided through the use of inputs. Analyzes data based on the assumption that 80% of issues are caused by 20% of the possible sources. The execution of a desired action, the accomplishment of a desired deed. The set of evaluation elements against which performance results are evaluated. A system that promotes a diverse, innovative and high-performing workforce, by implementing and maintaining effective performance management systems, programs to support the professional development of employees and continuous learning. A strategic and integrated organizational capability that delivers sustained success to organizations, by improving the performance of systems and people. A conceptual construct illustrating the performance management tools and the relationship between them as part of a performance management system. It shows the interaction between the system’s components and outlines each component’s role. An interactive and ongoing process consisting of the following stages at all organizational levels: performance planning, strategy execution, performance measurement, review and communication, learning and improvement. Refers to information-based routines and procedures formally expressed, that managers use to maintain or alter patterns in organizational activities. The system is an aggregation of tools, techniques, processes and rules relevant for decision making and managerial action. A visual representation of all the components of the performance management system and how they interact. A sub-process of Performance Management, dealing with tracking and evaluation. It provides the necessary information to plan, organize, coordinate, communicate and control performance. Refers to a five level maturity framework: ah-hoc, beginner, intermediate, advanced and proficient. The assessment includes 5 dimensions: KPIs identification and selection, KPIs documentation and alignment, KPIs collection and interpretation, KPIs reporting and visualization, KPIs feedback and re-alignment. 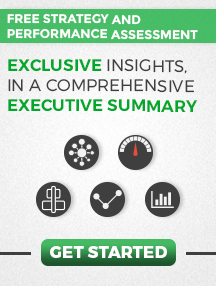 It is used to assess the maturity of companies’ performance measurement capability. A subset of the performance management system dedicated to data provision. A technique that enables all attending stakeholders to create an educated overview of the results achieved during a specified period of time. The main purpose is to clarify the causes of poor performance and establish improvement initiatives. An external analysis technique used when conducting research in the beginning stages of a new project or when shaping the strategy with the purpose of identifying key external forces that might affect an organization. The analysis covers the following factors: political, economic, social, technological, environmental and legal. A collection of all the initiatives tracked, either active or inactive. This instrument is useful for prioritizing projects and monitoring their status. A technique used to elaborate forecasts based on past events analysis, as previous trends are likely to occur in the future. Refers to the sources of information used in the process of KPI selection that are directly connected to the company. It includes input from front-line employees, managers, Board, suppliers and customers. Represents an important task that must be dealt with before other actions. Sequence of interdependent and linked procedures which, at every stage, consume one or more resources (time, energy, machines, money) to convert inputs (data, material, parts) into outputs. These outputs then serve as inputs for the next stage until a known goal or end result is reached. A series of actions taken to identify, analyze and optimize the existing processes, in order to achieve better results and increased efficiency. Measures the activities (processes) required to provide certain expected outputs. A structured group of projects aiming to achieve the complementary outcomes. The application of knowledge, skills, tools and techniques to plan, implement and evaluate activities in order to meet or exceed expectations from a project. A management process designed to help organizations acquire and view information about all their projects, then sort and prioritize each project according to certain criteria, such as strategic value, impact on resources and cost among others. A descriptive characteristic, an opinion, a property or a trait. The most common ones gauge customer or employee satisfaction through surveys. A measurable characteristic, resulted by counting, adding, or averaging numbers. Quantitative data is most common in measurement and therefore forms the backbone of KPIs. Informed — Role that needs to be kept informed of the status of item completion. To adjust in order to fit a specific context or situation. The probability of an event to occur and affect the business. The planned and systematic approach used to identify, evaluate and manage the risks and the opportunities that can influence a business. The process of identifying, assessing and prioritizing the risks the organization encounters, followed by a coordinated and economical application of resources to minimize them. An instrument used in the process of risk assessment. The matrix has two axes: the risk’s impact and likelihood to happen. The combination of a consequence and likelihood range gives an estimate of risk, called the risk rank. It is a technique used for problem solving by identifying the root causes of a problem. A root cause is a cause that once removed it prevents the final undesirable event from recurring. It is a behavior characterized by setting lower targets than the realistic level estimated as possible, in order to ensure target achievement. A characteristic of a system, model or function which describes its capacity to manage and perform under increased or expanding workload. A system which scales well will be able to preserve or even increase its level of performance or efficiency when tested by larger operational demand. A performance management tool used to measure the performance of companies against established targets. It consists of a collection of KPIs correlated with the company’s objectives. Includes the information that can be gathered from outside the organization, from sources like: printed catalogues, books and annual reports of other organizations. A contract between a service provider and a client in which the provider gives guarantees for delivery of some service. It has two parts: a technical section defining service expectation and a contractual or legal issues. It is a model that describes two ways in which we can learn from our experiences. Single-loop learning refers to connecting a strategy for action with a result. Through single-loop learning, we will observe the results of our actions, automatically take in feedback, and try a different approach if the results were not satisfactory. Doing this several times and constantly changing our strategy to get the desired results may not work in certain cases. In such a situation it may be necessary to start questioning our goals, values and beliefs. The process of learning by questioning fundamental assumptions / variables, not only the methods used to achieve desired results is the double loop learning. A business management approach designed to improve quality by identifying and removing causes of defects, mainly through removing variation and improving processes. A small line chart used to represent data trends in a condensed manner. Sparklines are a convenient alternative to graphs, as they allow a visual representation of numbers in a table. A regular frequency of data reporting for a performance indicator. Persons, groups or organizations that have an interest or concern in a company. Stakeholders can influence or be influenced by the company’s actions, policies and objectives. Examples of key stakeholders are creditors, employees, directors, government (and its agencies), owners (shareholders), suppliers, unions and the community which the business draws its resources from. Represents the highest level to assess organizational performance and success, being mainly focused on strategy outcomes. The process of aligning budgets with strategy, using the Balanced Scorecard to take resource allocation decisions. Using this method, budgets are based on the initiatives necessary to achieve Balanced Scorecard targets. A general direction set for the company to achieve a desired state in the future. It includes the activities an organization takes in order to attain its goals, and so, to gain a competitive advantage over the other companies in the market. A visual representation of the organization’s strategy. It is a powerful communication tool that enables employees understand the strategy and translate it into actions they can take to help the organization succeed. A technique that involves the study of both internal and external environment of the organization and the factors that affect it by analyzing strengths, weaknesses, opportunities and threats. The theoretical model which defines structure, behavior and more views of a system. A system architecture can encompass system components, the outwardly visible properties of the components and the relationships between them. It can supply a plan from which products can be acquired, and systems developed, which will work together to put into action the overall system. Refers to melding existing systems and new technologies to form more capable systems, intended to take on additional tasks, obtain improved performance and/or enhance existing systems. The process of understanding how things influence one another. It refers rather to seeing overall structures, patterns and cycles in systems, and the connections between them, than specific events in the system. Reflects the desired level to be achieved for a metric, providing meaning to measurement results and feedback regarding performance. A classification of structures, ordered in a system, which indicates natural relationships; distribution into arranged groups or categories. A way of carrying out a particular task. A systematic procedure of executing an activity. Period of time between two connected actions (such as cause and effect). Outlines the limits for something. In performance measurement it indicates the limits for positive and negative results, as well as tolerance intervals of KPI results. Represents a management concept aiming to reduce the errors produced during the manufacturing, production or service process, to increase customer satisfaction and to assure optimization within the supply chain management. TQM can be easily associated with the development, deployment, and maintenance of organizational systems that are required for various business processes. A pattern of continuous change in a condition, process or output, or an average or general tendency of a series of data points moving in a fixed direction over time, which is represented by a line or curve on a graph. An initiative selection A technique that involves evaluating an element from three different perspectives or based on three criteria. In the context of assessing initiatives, based on the results of the evaluation on each criteria, the most relevant and important initiatives are selected. Looking after the achievement of own targets, without considering the implications of my actions for other areas in the organization. The impossibility of assessing a risk and its probability to occur. Disregarding environmental, safety or other ethical considerations in the process of meeting targets. Represents a management approach which ensures that organizations are focusing consistently on value, mostly maximizing the shareholder value. It includes the creation of value through strategy, managing for value (e.g. governance, change management, organizational culture) and measuring for value. A key element, process or capability within the business that if one directs resource at (capital, people or strategic initiatives) is likely to lead to an increase added value (“caeteris paribus”). A technique to analyze the value generation of a system at all stages: Input, Process, Output and Outcome. This techniques can also be used in selecting KPIs for a specific objective, by establishing at each stage relevant KPIs and then choose the most important ones. Describes how an organization differentiates itself on the market, and what promises to offer to its clients. Important and lasting belief or ideal shared by the members of an organization about what is good / bad and desirable / undesirable. Communication where information or messages flows within the top level and bottom level of the organizational structure. The expression of the ultimate aspirations of the company. The vision should articulate the future image of the company and remind to stakeholders what the organization is trying t0 achieve. A question asking technique based on asking the question “Why?” five times. It is used to identify the cause and effect relationships that are cardinal to the problem and lead to the root of the issue. A technique that assigns weights to data, proportionally to its importance, to ensure the relevancy of the measurement’s results. In English can be translated as “World view” and it refers to a holistic approach towards how an individual, a society, a culture perceived the world.